If you’re purchasing a home, particularly in the North Port or Port Charlotte area, you may have heard that you should watch out for Chinese drywall. But what is Chinese drywall, and why is it hazardous? Some homes built in the mid-2000s had certain types of defective Chinese drywall installed that releases sulfurous gasses, primarily causing metals (such as copper pipes and wiring) within the home to fail prematurely. Some people who are susceptible to respiratory issues may experience symptoms as a result of these fumes. Replacement of the drywall is, needless to say, very invasive and expensive. Should I Consider a Chinese Drywall Inspection? If your home was built in the mid 2000s, the short answer is yes. Although Chinese drywall is no longer the issue it once was, as many of the affected homes have since been discovered and repaired, Chinese drywall is still a concern for some home buyers. New homes in the Port Charlotte and North Port area were particularly affected by Chinese drywall issues, so it might be better to err on the side of caution when purchasing a home in those areas. For a small additional fee, we will perform the Chinese drywall inspection at the time of your home inspection. During the inspection, we will be looking for the signs and symptoms of a Chinese drywall contaminated home, and we will include the results in a separate part of the home inspection report. 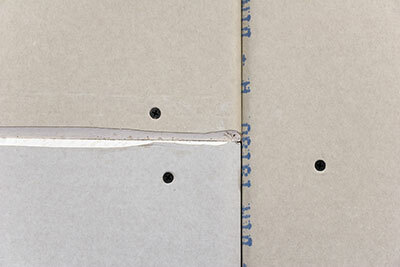 Not sure whether a Chinese drywall inspection is necessary for your home? We’d be glad to give you our advice. If your home was built in Sarasota or Charlotte county in the mid-2000s, ask us if you need a Chinese drywall inspection.